Big mistake: Liverpool's £72m-rated ace that should have left Anfield by now | The Transfer Tavern | News, breakdown and analysis on all things football! For the Liverpool fans in the Transfer Tavern, forwards don’t come much better than Roberto Firmino, who is rated at £72 million by Transfer Tavern. That begs the question, then: should the Brazilian still be at Liverpool? After all, on current form, the 26-year-old is up there with the world’s very best. Last season, he bagged a pretty remarkable 15 league goals, which is a testament to his lethality in front of goal. Furthermore, with 7 assists, the Brazilian is clearly contributing to Liverpool’s play in more ways than one, and the attack often begins to struggle without his presence. Given the fact that some of Europe’s best teams have forwards that can only dream of having that sort of impact, it’s fair to say that he deserves to play for a team that is competing on every front. Liverpool as a club, meanwhile, though they are improving, are hardly a club that is challenging for every trophy that they’re in contention for. They had a great run to the Champions League final last term, but were outclassed in the final, and their form in the Premier League and in the domestic cups was mixed at best. 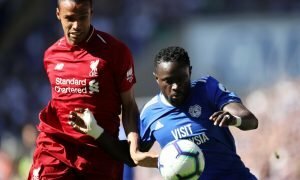 He’s played a key role as Liverpool have continued to develop, but there is somewhat of a disparity between his form and Liverpool’s as a collective. Not to mention, Firmino’s playstyle is also something to consider. He’s a player that is unique in the context of Europe. He’s not just a goalscoring forward. If anything, he’s much more than that. The way he brilliantly links up with other players, and the amount he runs, means that he would be an invaluable player for most of Europe’s clubs. In particular, the way he links up with a three-man attack would likely entice clubs like Real Madrid, who rely heavily on goal-scoring wingers. Whilst Liverpool are obviously a huge club, it doesn’t come much bigger than a move to Madrid – and there’s no doubting that he’s good enough to turn out for Los Blancos.